I spent the past six months deep diving in a dozen cities across Southeast Asia, from Singapore to Shenzhen, all the way to Sydney, and yet, what struck me most – and it had nothing to do with the East – was the gradual acknowledgement of the agnostic negligence of the Western public – whose idea of the region is still confined to one of a land of counterfeit products and cheap labour. With a combined population of over 4.5 billion people, Asia is by far the most populated region on the planet. In comparison, the entire ‘Western world’ (US, Canada, EU, Australia, New Zealand) barely reaches one billion people. In the global race to urbanisation, Western cities have been quickly overtaken by those in emerging markets, especially China and India (map below). Despite NYC, London, and Paris keep having a say in the global economy, no Western metropolis figures among the fastest-growing centres of the world and this trend is not likely to reverse. ASEAN: Who is the European Union’s less spoken-of Asian sister? The Association of Southeast Asian Nations (ASEAN) was founded in 1967 – 26 years before the Treaty of Maastricht came into being - by Indonesia, Malaysia, the Philippines, Singapore, and Thailand. At birth, the combined economy equalled that of Cote d’Ivoire today (just over US$35 billion GDP). Fast forward to now, Indonesia’s GDP alone exceeds the trillion-dollar, and ASEAN countries count today with a larger combined economy than the United Kingdom . Nominal GDP is not a proxy for population wealth. Despite the similar GDP, the UK’s population is about a tenth of that of the ASEAN countries combined and the GDP (PPP) per capita about fourfold that of ASEAN members (World Bank). Since the founding days, the organisation has doubled in size and come to include 10 core members, 3 additional ones (China, Japan, South Korea) and a range of multilateral cooperation agreements with countries spanning from the Middle East to Australia. Surrounded by economic giants such as China, India, Australia, Japan, and Korea, the ASEAN countries find themselves in a particularly privileged geographic position to harness internal and external resources. Capital flows have skyrocketed over the past decade and foreign direct investment (FDI) to ASEAN in 2016 almost hit 100 billion. Yet, large capital inflows are no big news. A particularly interesting datum here is the composition of such transactions. Over US$ 24 billion were invested between ASEAN countries themselves – as opposed to the ca. $30 billion coming from the European Union. This shows a growing trend that has been hiding in plain sight: the ever-increasing strengthening of economic ties across the ASEAN countries and the coming end of the Western era of trade dominance. Also, developing Asia has been growing twice as fast as the European Union. In addition, the considerable amount of investment flowing from China, Japan and the once-glorious Asian Tigers – especially in the ICT sector – is expected to boost such growth in the coming decades. One can simply not attempt a comprehensive discussion on ASEAN economies without bringing China in the conversation. Although Beijing's expansion game has long been under the spotlight and while, for instance, China’s relation with Africa is being debated worldwide, the conspicuous investments specifically dedicated to Chinese neighbours seem to have been less of a buzz – at least in the West. The establishment of the $100 billion Asian Infrastructure Investment Bank (AIIB), the New Development Bank (former BRICS bank), and, particularly, “One Belt, One Road” (OBOR, now simply Belt and Road Initiative), have significantly increased the amount of capital in the region, as well as the cooperation between China and its neighbouring countries. Early in 2017, China and ASEAN promised to increase bilateral trade to a value of $1 trillion by 2020). The gradual ‘groupification’ of Asian markets is being pushed by China through diversified investments, especially in the infrastructure sector. Ports, highways, and railways are being built or expanded across the entire region. The gargantuan network, once completed, is expected to extend from China to the Netherlands, through the Middle East, Singapore, Africa, and Russia. Surely, the project has not been short of scepticism addressing operational delays, budget inflation, and environmental issues, but the size of the endeavour gives a fairly good idea of the direction which China and its neighbours are headed in. The new scramble for Southeast Asia – A launchpad for global scaling? If the Western public - as large corporations have - hasn’t paid enough attention to the potential of the ASEAN market yet, this is certainly not the case for China. Not only has Beijing become the leader in infrastructure development, but Chinese flagship tech giants such as Hangzhou-Alibaba and Guangzhou-Tencent (WeChat’s parent company), have begun looking at the ASEAN market for expansion. Southeast Asia represents a strategic market in the race to global market dominance and the growing pressure is visible in the huge efforts companies such as Alibaba and Tencent are making in order to secure their shares in the market and ward off incoming threats from Amazon and Facebook. Take Ant Capital, Alibaba’s financial arm. It has recently announced a plan to raise up to US$ 100 billion in an attempt to double down on the Southeast Asian market. Two recents reports by the GSM Association and Google because of the sky-high rate of mobile penetration, a young population which favours fast adoption of new technologies, and growing purchasing power. The two Chinese companies seem to have split in accordance to their respective areas of interest: while Alibaba, aside Grab, did some heavy-lifting on Lazada and Tokopedia, ASEAN’s largest e-commerce platforms, Tencent (and Google) opted for Go-Jek, perhaps due to the similarity in the horizontal, all-in-one-app strategy, says Forbes. Southeast Asia is not new to investors and 2017 closed with over US$ 6 billion raised by start-ups. The venture capital landscape has been steadily developing over the past decade and a growing number of funds now focus specifically on the region. Capria Ventures only, a global impact investment firm, recently announced the plan to launch between five and seven impact funds across the region: at least three in ASEAN markets and two in India. CB Insights identifies the presence of at least ten new funds active in Southeast Asia - e.g. 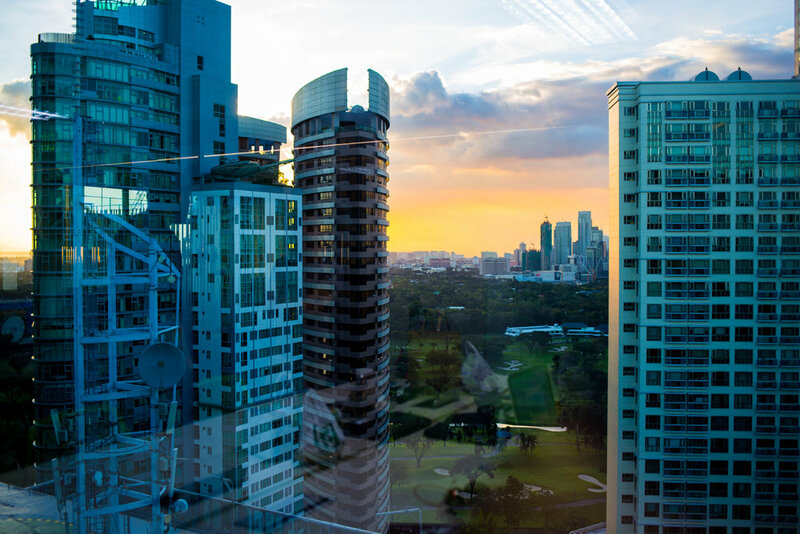 East Ventures, Kejora, Golden Gate Ventures -, and a few accelerators, such as Muru-D in Singapore, are now actively accepting startups from all across the region. It is not only BAT (Baidu, Alibaba, Tencent) that are moving capital across the region. In a matryoshka-style game, Chinese-invested, ASEAN-born companies such as Grab and Go Jek also began acquiring or crowding out regional startups. After being conceded Uber's Southeast Asian business, Grab is now the dominant player in the region, followed by Go-Jek, the Indonesian unicorn who recently announced a US$ 10 million investment in Pathao, a motorbike-taxi hailing and food-delivery app in Bangladesh. Fifty-years on, ASEAN countries start to be recognised because of their extra-ordinary growth. Southeast Asia represents the fourth largest market globally - the third, including South Asia and some Pacific islands. More, what's cooking in the region is a multi-stakeholder involvement led by tech giants and China's expansion plans which is pouring billions in order to turbocharge infrastructure development and facilitate trade. The hypertrophic moment is here to stay, driven by the fast digitalisation, a growing middle-class, and enhanced activity by local and foreign investors. Although the high inequality has to be taken into account, especially in regard to human development and adaptation to the new labour markets, the prospect for the region are extremely positive.